Okay, we had to start with this because this is by far the cutest thing I've seen in a while. Like, here I am, in my thirties, big smile and misty-eyed over this. I have no word strong enough to fully convey how absolutely adorable this looks. I wanna see this. Not only is it adorable, but it is gorgeous visually. This looks like a sweet, lovely movie for families to go to. I really hope it's as good as the trailers. Ron Howard dropped this little tidbit while on the press tour for Solo: A Star Wars Story. It just seemed really out of left field for me. 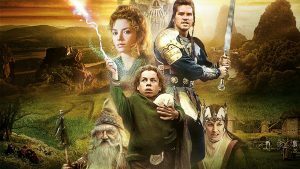 As in, why are we doing a Willow sequel? I figured if they were going to do something with this one, it'd be a reboot. I honestly don't know how to feel about this. This is one of those movies we watched a lot as kids and that I still really enjoy. I suppose the idea of doing a sequel focusing on Elora (now adult, I'm assuming?) could be really cool with a good story. 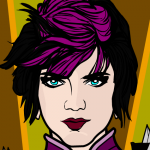 I will never complain about kickass fantasy heroines there are a lot of questions. 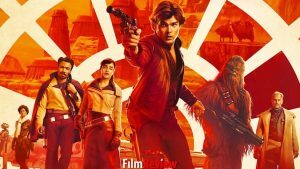 Would the original cast come back in some capacity a la the new Star Wars films? What exactly would the story be? I don't know, I'm conflicted. Well, if there is, it won't be from Alex Garland. The director stated he has no interest in sequels and doesn't see this film becoming a trilogy the way the books were. To be honest, I'm totally fine with that. 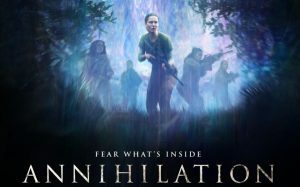 I loved Annihilation, but it ended just right for me. I don't think it needs anything more and I'd hate to see a sequel lessen the ambiguity of the ending. I'm with Mr. Garland. Not everything needs to be a franchise, which is a discussion we've had in our house before. (Fun fact, Jurassic Park was never supposed to be a franchise and The Lost World is the only sequel Michael Crichton ever wrote and is vastly different from the film). Several of these bits I found via trending on Twitter. This was one of them. 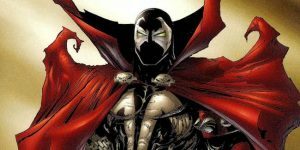 Jamie Foxx will star in a new Spawn film, directed by first-time director (and creator of the character) Todd McFarlane. He said it will be 'dark and R-rated', which sounds about right for both character and creator. I'm not a huge Spawn fan and my other half's reaction was 'well, couldn't be any worse than the last one'. So we'll see how this pans out in the coming months. Will the Ricktatorship become a Darrylmocracy? Okay, so here's something else I'm not a big fan of. But this is pretty big news. 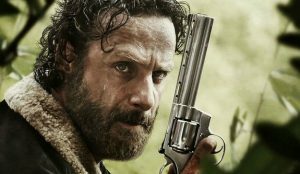 Andrew Lincoln is reportedly leaving The Walking Dead during?/after? Season 9. So that will be quite the shakeup, as Rick Grimes is and has been the central character in both TV and comic versions since the beginning. There's a lot of speculation about Norman Reedus' Darryl coming to the forefront after Lincoln's exit, which knowing The Walking Dead, will likely be in some sort of gruesome manner. There's also Michonne who could step up but if that doesn't happen and I get to see more of Danai Gurira as Okoye instead, I'm okay with that. Personally I read the first two trades and have seen maybe one episode of the show, so I don't really have a horse in this race. So, Solo opened this past weekend. And, the numbers weren't great. Which is ridiculous to say that making just over 100 million dollars domestically in three-four days is 'not great' but that's how these things go. I personally haven't seen it yet. We had a concert last week and then a stomach bug went through the house so it never happened. Will I see it? Of course. It's Star Wars. It's kind of one of those things that sounds really good on paper but was something no one was really crying out for. I'm most interested to see Donald Glover's Lando Calrissian, to be honest. I never really felt we needed more backstory for Han than we already had. Now James Mangold's Boba Fett film? I can get behind that. As long as we can still get that X-23 spinoff at some point? Because I need that in my life, man. 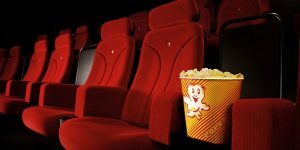 If you want a good, in-depth look at the weekend's box office, I highly recommend Charting with Dan. Link will take you today's video. 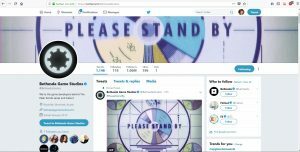 So this is Bethesda Studios' Twitter page today. There was apparently an all day livestream as well, featuring the 'Please Stand By' and a Vault-Boy. What does this mean? We don't know. Speculation has been wild as to what this could all mean. New game? Port to the Nintendo Switch? Remaster of a previous title? I'm intrigued. I've loved Fallout as a story and an aesthetic for a long time but the turn-based combat of the old games always drove me crazy and I was very lukewarm on Fallout 3. It may be a controversial opinion but I loved the crap out of Fallout 4. I have put more hours into that game than I care to admit and I got invested in the story in a way I just couldn't with 3. Either way, I'm quite curious to see what all this buildup results in. If it's a new game, then I will anxiously await to see where they go with it and for all the sweet, sweet Bethesda glitches that will follow. In the meantime, me and my Sole Survivor should really stop building settlements and go find her kid. 1)This is my second time seeing Testament and they were just as awesome as the first time. I really wish they'd get more love, cause they deserve it. I also need to add more of their discography to our library. Good, old-school thrash and one of our main reasons for going. 2)I knew nothing of Behemoth before seeing them. Instrumentals were good and their stage was cool but the vocals killed it. I just like clean vocals, okay? I even said to the other half during the first song. which sounded really cool at first, 'this is Amon Amarth all over again'. Although, to be fair, I tried really hard to get into Amon Amarth. 3)Anthrax was our other main reason for going. We love us some Anthrax. I suggested my mum getting the other half their latest disc, For All Kings, for Christmas, and holy crap is that a fantastic album. Would love to see them again as a headliner, because like Testament, the only problem was that their set was too short. Still an excellent time. 4)Lamb of God is not really my cup of tea but they put on a really good show. I think I enjoyed them more live than anything I'd really heard listening to them otherwise. As we were in Winnipeg, singer Randy Blythe gave a shout-out to Chris Jericho, which was pretty cool. 5)When we discussed seeing the bands of the so-called 'Big Four' of thrash, I never thought Slayer would be one of the first. I figured we'd see Anthrax (which we technically did) and Megadeth first before Slayer or Metallica. But to see two in one night? How can you say no? They put on a damn good show as well. They also played the handful of songs of theirs that I know well, so I'm not complaining. Overall, an awesome night. I had a big of that stomach bug that day, but didn't let it stop me! Well, that's what I've got, folks. I spent last night (instead of writing this) watching some videos about foam-smithing for research and planning some more costume pieces so I'm hoping to have more updates on that soon. So, until next time! This entry was posted in Randomosity and tagged 2018, anticipated, fallout, metal, music, spawn, star wars, the walking dead, willow. Bookmark the permalink. I love Willow. From what I’ve read around the web, Ron Howard is planning a sequel not a reboot or remake. I just picture Madmartigan being more Mildmartigan. The story might be Queen Elora Danan calling the heroes to protect her realm. Christopher Robbin looks endearing. Might have to take the grandbabies to that one. Everyone will be bringing their grandbabies! That’s to be expected.